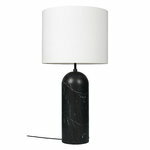 Gubi’s Gravity XL floor lamp plays with the contrast of a subtle, airy fabric shade and heavy base made of black marble. Designed by Space Copenhagen, the aesthetics of the Gravity collection is based on soft but precise cylindrical shapes. 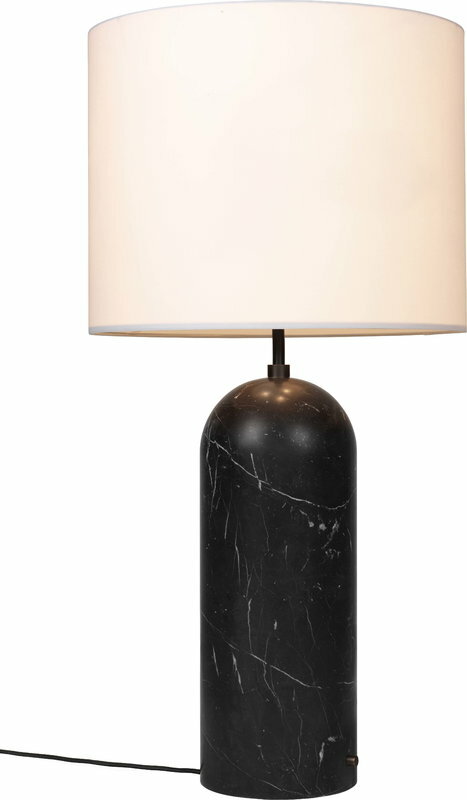 The well-balanced geometrical elegance is a perfect addition for many kinds of interiors and especially larger spaces. 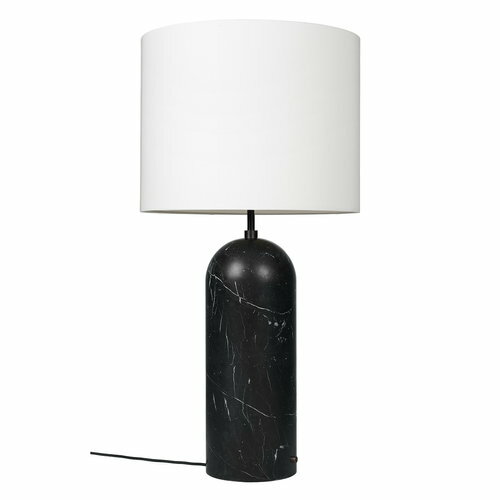 Gravity’s lightly-coloured fabric shade provides a gentle light and also highlights the texture of the marble base. Only use dimmable bulb. Best result is achieved with frosted light bulbs with a CRI larger than 90. Foot dimmer on cable (black). Pull chain switch inside shade (dark antique brass). Due to natural materials surface and structure can vary.